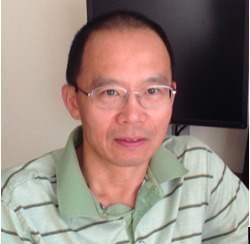 Yong Qian is a toxicologist and a group leader at National Institute for Occupational Safety and Health (NIOSH), Centers for Disease Control and Prevention (CDC). He got his MD at Shanghai Second Medical University in 1985 and his PhD at West Virginia University in 1999. He was a post PhD fellow at West Virginia University from 2000-2001. From 2001-2006, he was an associate service fellow at NIOSH. He has served as a group leader and a principal investigator at NIOSH since 2007. He has experience and expertise in molecular toxicology and cell biology. The areas of his research are: 1) nanoparticle-induced pulmonary diseases; 2) identification of lung cancer biomarkers; 3) perfluorinated chemicals in occupational safety and health; and 4) heavy metal-induced carcinogenesis.